Players may be brought up/down at any point in the tryout process based on need at the coaching staff's discretion. Players are rated on the skills shown below. At the end of the tryout process each player has a brief 1 on 1 meeting with the coaching staff. The meeting consists of an evaluation review and a final decision on whether each girl makes the team or does not make the team. 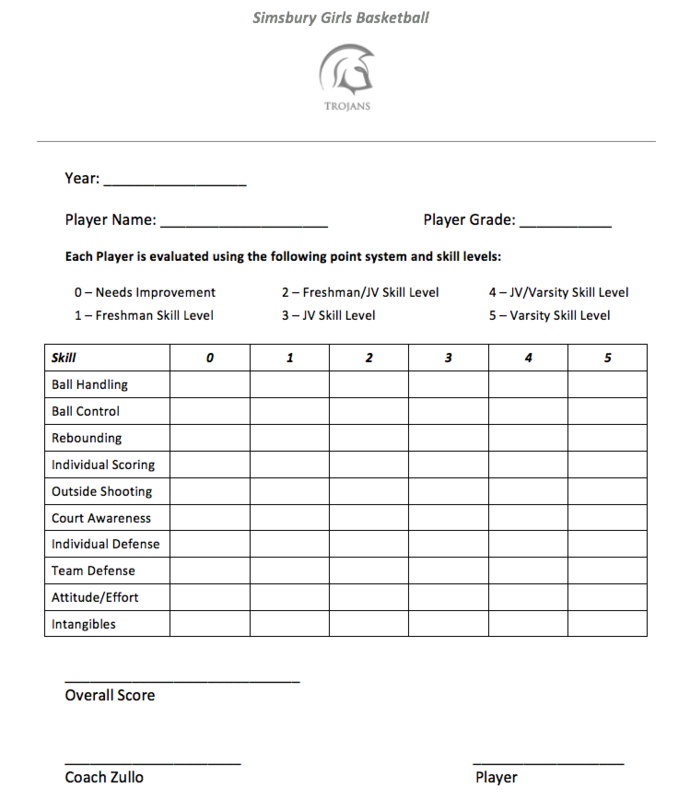 Each player must sign their evaluation to accept their role in the program and acknowledge that they understand the decision. Further documentation may be handed out in certain circumstances.